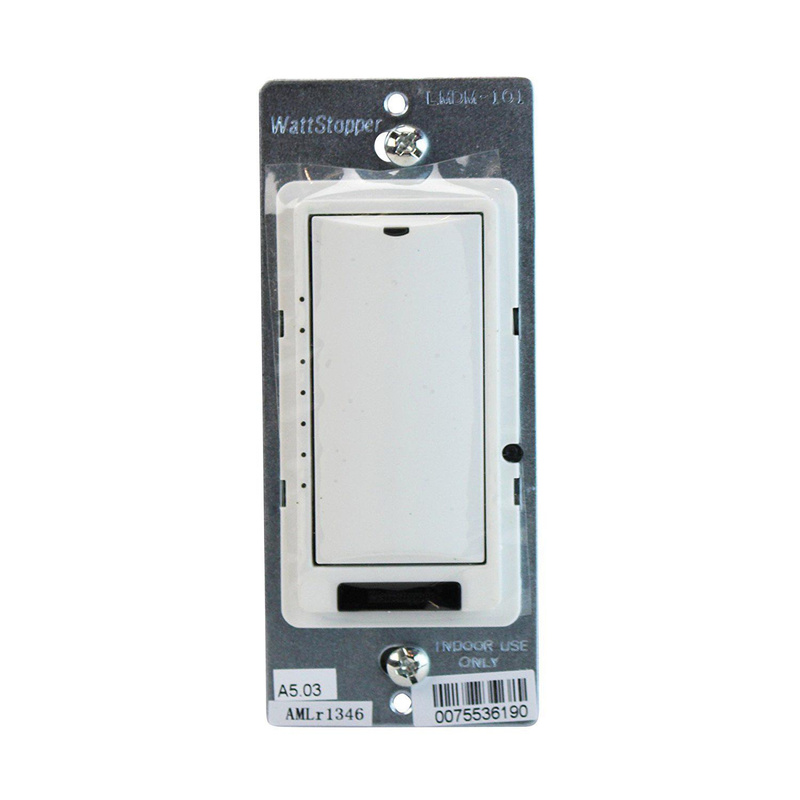 Wattstopper 1-Button Dimming wall switch in ivory color, has IR transceiver for wireless configuration and remote control. It has voltage rating of 24-Volt DC and current rating of 5-Milli-Amps. Dimming wall switch has two RJ45 terminal connection. It helps you to plug to other components using Cat 5e cable and RJ45 connectors by eliminating wiring errors. Active dim feature enables temporary adjustment of any selected load. Wall mountable dimming switch measures 4.1-Inch x 1.7-Inch x 1.3-Inch. It operates at temperature range of 0 to 55 deg C. It is ideal for use in conference/board rooms, classrooms, training centers and private offices. Dimming wall switch is UL/cUL listed FCC certified and RoHS compliant.